With a new redesign under its belt, the award-winning RAM 1500 truck is not only one of the best family cars on the road, but it’s also one of the toughest trucks in Abilene too. Explore features like the RamBox integrated locking storage system, the available leather appointments, the best-in-class towing capability, and a new, more aerodynamic design, then keep reading to find the perfect RAM truck to take your next San Angelo road trip from zero to 100 fast. What Models are in the RAM Lineup? RAM 1500: An award-winning light-duty truck with best-in-class gasoline towing power of 12,750 pounds. RAM 2500/3500: Two powerful heavy-duty models that are top picks for hard working Brady businesses. RAM Chassis Cab: A customizable commercial option that allows businesses to build their ideal vehicle. RAM ProMaster: A powerful van that makes the new mobile office possible. RAM ProMaster City: A nimble, compact van perfect for deliveries in crowded urban environments. Explore the possibilities when you put a new RAM to work for you. 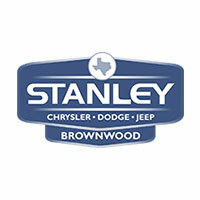 Contact Stanley CDJR in Brownwood to learn more or find out which RAM truck is right for you.